Just about every keyboard, drum machine and music workstation uses sampled sounds. They sound great but it is nothing compared to using live musicians in your music. Doing so will bring more life to your music. If you know someone that plays guitar, hire them to play on your song. 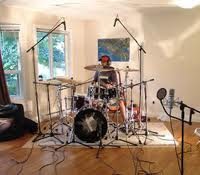 If you know someone who plays drums, get them to play on your new song. You will be very pleased with the results. A musician can bring a certain "swing" to a song that cannot be totally matched with a sequencer. Even if you are going to sample a part of another song, it will sound more unique to get real musicians to re-play the part you want to sample. Try it out. Take advantage of your musician friends and get live instruments in your music.